This giveaway ended at 10AM on Monday, November 30. The Illumibowl makes going to the bathroom fun and convenient for kids and parents. 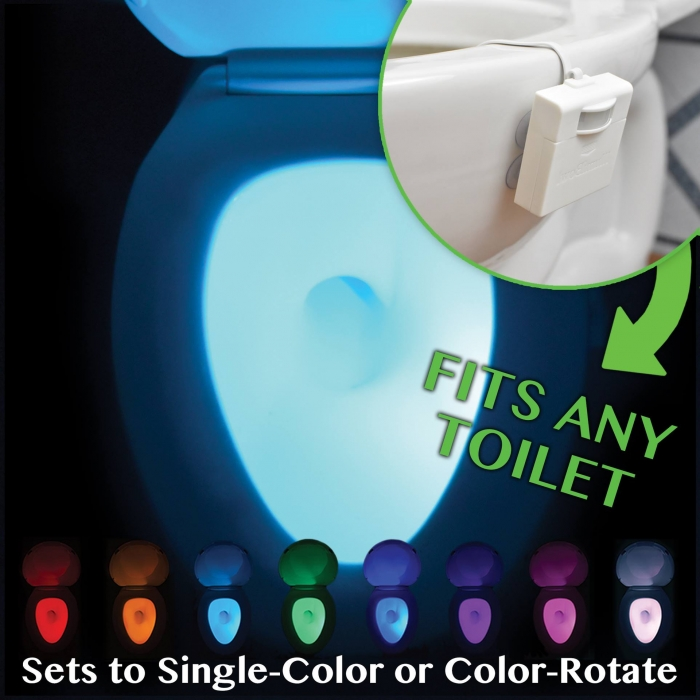 Powered by three AAA batteries, the device suctions onto the outside of your toilet and shines a motion-activated multi-colored LED into the bowl. It's great for when you have to use the bathroom at night - no more being blinded by the light from the ceiling! Instead, a soft neon glow from your toilet boil will greet you as you enter the bathroom. It can also be used as a fun way to help kids potty-train. Plus, the Illumibowl is tons of fun - your toilet is now a disco toilet. This contest ended at 10AM on Monday, November 30.